ZOMG! 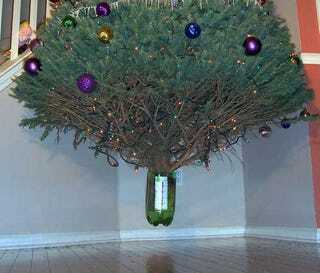 This Christmas tree! It's just...floating! How in the love of Santa Christ did they do that?! Oh, I see, they just hung it from the top.